Every now and then I have enough time to finish work on one of our own swords... this is one. It is a Gendaito that came into our collection in Shira-saya, so of course I had to build a set of full koshirae for it. 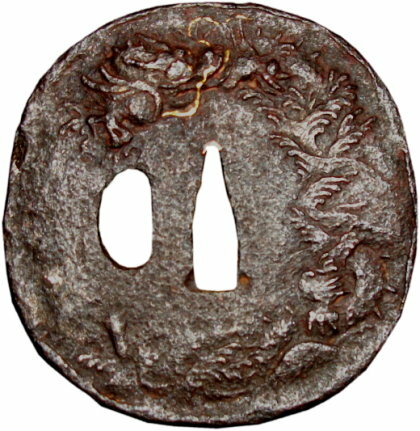 Info: this is a Showa Gendaito signed Kane Uji with a two character signature w/ Kakihan (smith’s personal seal used only by master smiths). 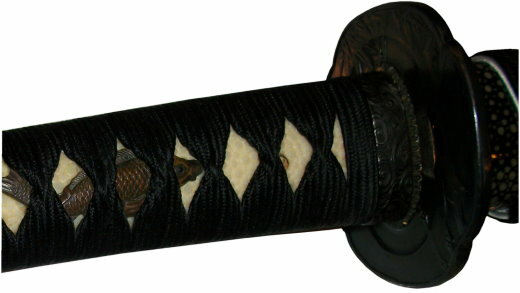 The blade is 25.5" long with a combination of Sanbonsugi & Gunome hamon, serious Funbari and a longer than usual Kisaki. Anyway, I made the tsuka & saya... Let me know what you think. "You can find the strangest things in your parent's closets." That is what the daughter of a WWII vet said to me when she asked me if I would like this sword... According to the daughter, it was a forgotten in a sack and untouched for nearly 50 years. Now I'm bringing here to share with you. 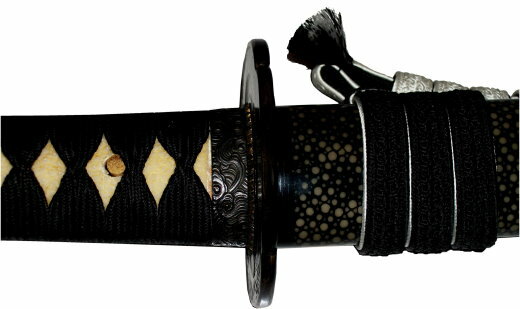 To give you the specs, it is a shortened 21" Shinto blade (mid-1700's), with a tight grain and a Sugu-ha hamon. The Koshirae are all orginal, and appear to be a hybrid of a Edo tsuka & tsuba combined with a Showa Gunto saya. 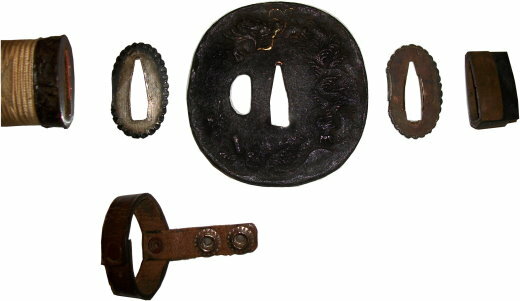 With a black horn kashira and iron fuchi, everything is orginal, tight and clean (especially the Tsukamaki), take a look. Below are a couple of views of the various disassembled components of the sword. And, here are some views of the blade itself. And, as always, let me know what you think.